After being ousted from far-right Hungarian Jobbik party over his Jewish roots, Csanad Szegedi has reconciled to meet with orthodox rabbi. Hungarian politician Csanad Szegedi, who was forced to resign as a member of the far right Jobbik party following uproar over the discovery of his Jewish roots, has met with Hungary’s chief orthodox rabbi, The Wall Street Journal reported. Csanad Szegedi revealed in a June interview that his grandparents were orthodox Jews, an announcement that angered many Hungarian politicians and supporters of Jobbik, considered to be a radical neo-Nazi party and which has 45 seats in Hungary’s 386-seat parliament. Szegedi maintained that his grandparents, who both survived the Nazis, had chosen to remain silent about their Jewish heritage, and he had only found out about his family’s religious background in December 2011. Szeged agreed to step down from all party positions, due to mounting pressure from internal rivals, but said that he will continue to hold on to his seat in the European Parliament. Speaking at a press conference late July, Jobbik’s leader Gabor Vona said Szegedi’s resignation was not connected to his Jewish roots but the fact that Szegedi had kept them secret. Vona also said that the party only looks at “what its members do for Hungary,” and called on Szegedi to resign amid corruption allegations. Many onlookers, however, doubt the party’s official line. “Had he not lied about his origins, then – whether this is a nice thing or not, that is a different question – he would never have become an MEP,” Novak, the Jobbik vice-president, wrote in an internal letter cited by Hungarian daily Nepszabadsag. His parliamentary status notwithstanding, Szegedi appears to have befriended his “controversial” heritage, The ex-Jobbik vice-president has met Hungary’s chief orthodox rabbi and promised to visit Auschwitz, where his grand mother had been held by Nazi soldiers, The Wall Street Journal reported. “Had I made any comments in the past years that offended the Jewish community, I ask for forgiveness,” Szegedi told Rabbi Slomo Koves, according to Nepszabadsag. 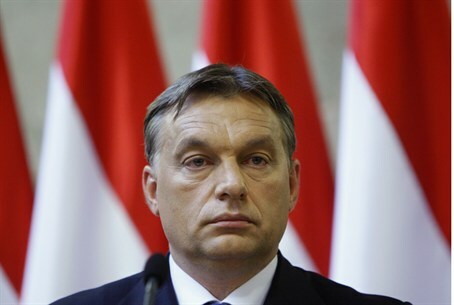 “Now that I have been faced with my Jewish roots, that I do not regret at all, keeping in touch with the leaders of the Hungarian Jewish community has become especially important for me,” he said. “I was stunned,” Koves said, recalling his reaction after Szegedi’s initial request for a meeting. “But as a rabbi, it is my duty to receive anybody who requests advice or help,” he said. “I wish for him that he be able to redeem the past years. He can do that best, if, apart from getting to know his own roots, he does everything in his power to keep others from being led astray, like he had been,” the rabbi said.